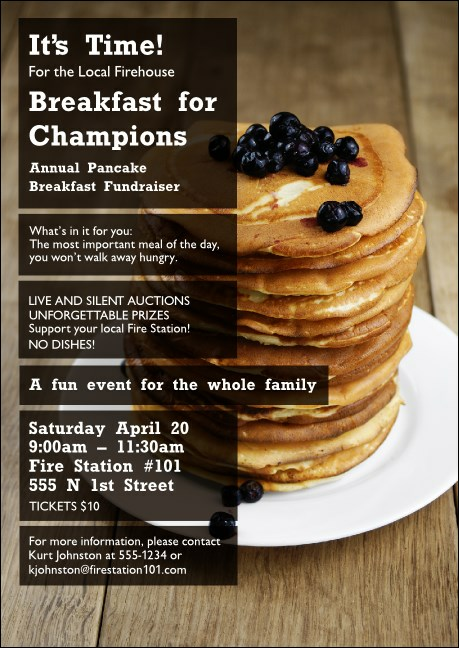 When you need to gather friends and family for an important cause over a good meal, hand out the Pancake Breakfast Club Flyer in advance. This small space offers a lot of room for your event information, with 22 lines of text on the side. A photorealistic image of a big stack with blueberries on top waiting on a table will leave your community hungry for more! Make a big impact in a small space with the right club flyer from TicketPrinting.com.